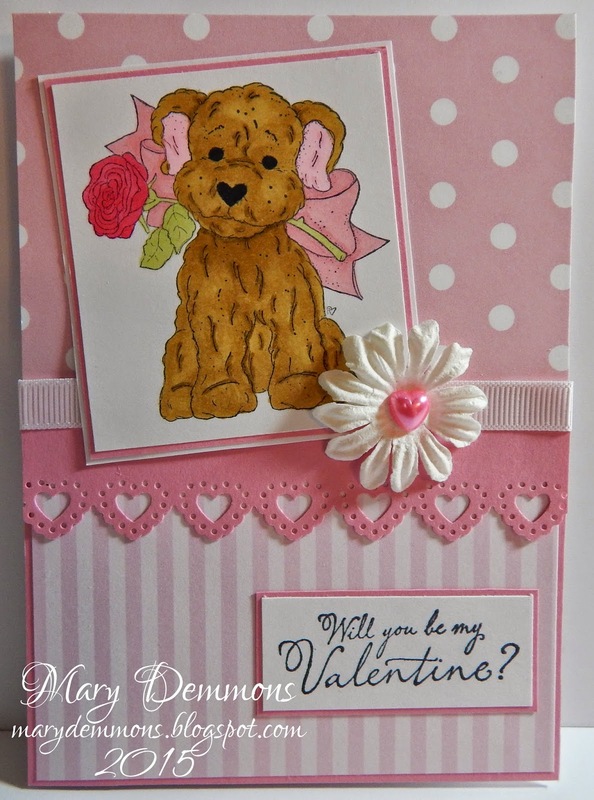 To create this valentine I started with a pink card base. I added a piece of pink and white striped patterned paper to the bottom half leaving a an edge of the pink base showing. To the top I added a pink and white dot patterned card stock. I punched a strip of pink card stock using a heart lace border punch and added a piece of white ribbon to it before adding it across the center of the card. I colored the image, Wilma With Rose, using Spectrum Noir pens and backed it in both pink and white card stock. I added a white paper flower to the ribbon and added a pink heart pearl to the center. I stamped the sentiment "Will you be my Valentine?" onto white card stock and backed it in pink card stock. Hi Mary, so cute....love the dog. Thanks for playing with us at Simply Magnolia. Pretty card. 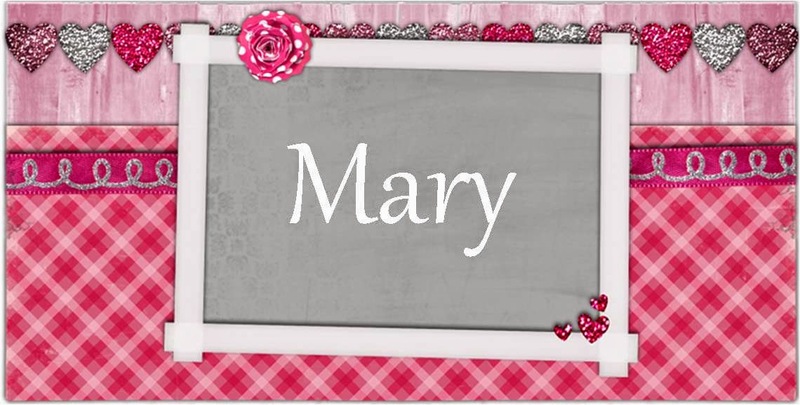 Great papers, lovely heart border and cute image. Thanks for joining us at Midweek Magnolia. What a lovely Valentine card! !